Kathy graduated from Montana State University with a degree in Television Production. Kathy updates our website, writes blog articles, assists the scientists with report edits, prepares client contracts, and does background research for projects. 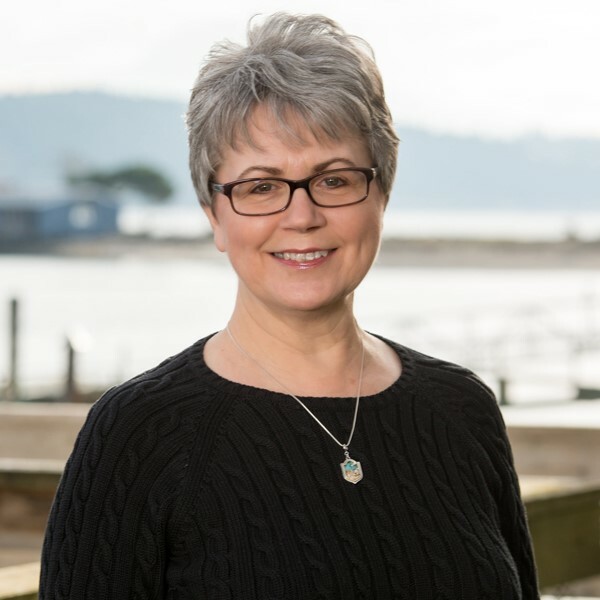 Kathy Johnson has over 25 years of experience working as a high level administrative professional supporting the Principals, Vice Presidents, upper level managers, and sales and marketing staffs of several well-known firms. Her varied background includes producing television news promotion spots and news stories, working as part of the studio production crew of local newscasts, writing and editing marketing materials, planning and organizing special events, and even registering purebred horses! Kathy does website updates, writes blog articles, assists the scientists with report edits, prepares client contracts, and does background research for projects. Marketing Coordinator/Administrative Assistant to Vice President; Helix Architecture, P.S. Administrative Assistant to VP of Marketing and Marketing Staff; SuperValu Inc.